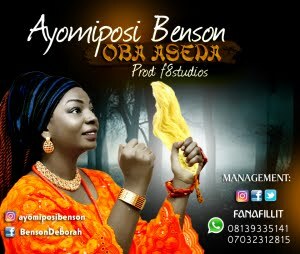 Ayomiposi Benson is here with a new inspired song titled "Oba Aseda"...Its a Spiritual song that appreciates God, the Maker and the creator of all things. The song, "Oba Aseda " glorifies God for creating human in His own image. Gen.1:26$27.